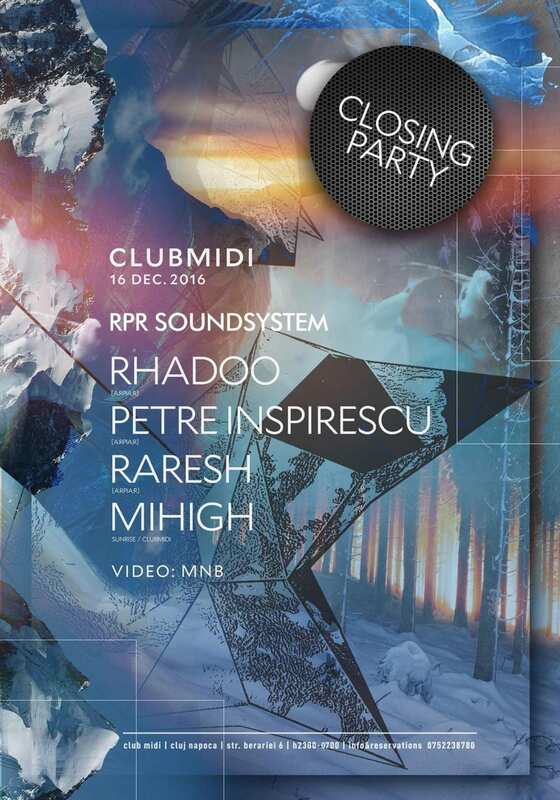 Rhadoo – the kingpin – is not only responsible for our development as a community and growing appeal for house music, but for the creation of groups/labels like [a:rpia:r] also. His exceptional ability in the mix is what distinguishes him from many of his peers. Understanding what makes a dance floor tick, he doesn’t just get from A to B, using that transition as a chance to explore the chemistry between two or even three tracks. You know as soon as you see that beret hat behind the DJ booth that in the next few hours you’ll be mesmerized. The one and only Petre Inspirescu adds a pinch of the classical avant-garde at this unforgettable soundscape. Petre Inspirescu shows with every DJ set just how panoramic his style is, elegantly maneuvering from restrained minimal to hard-hitting house and techno. One of Romania’s top electronic ambassadors, Raresh is the kind of DJ that doesn’t ever play the same kind of music. Hundreds of parties, his passion for the mixer and his hunger for old and new helped him gain respect from an early age. He’s been involved with like-minded citizens Pedro and Rhadoo for quite a while now, rocking the floors and releasing quality underground grooves on their [a:rpia:r] imprint. The ever smiling wonder boy is our hero! Mihigh masters the ability of taking the listener in a proper trip effortless. Every set makes room for improvisation where music is re-defined, often with surprising outcomes. When he isn’t playing in front of the crowd, Mihigh creates his own reality of sounds, constantly fathoming his music production skills.